Try glamping for an elegant nature experience! | Fujita Kanko Inc. Try glamping for an elegant nature experience! Summer is the best season for leisurely camping in nature. 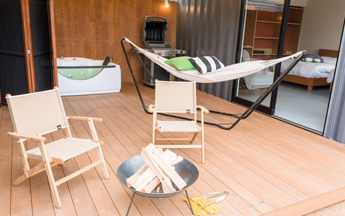 Now there are various ways to enjoy camping, including “glamping” from the UK. Combining the words “camping” and “glamorous”, glamping is the enjoyment of nature while receiving hotel-quality service. 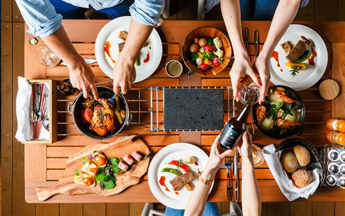 It’s an easier, more luxurious camping experience without the trouble of setting up camp, and it’s been gaining popularity throughout Japan in recent years. 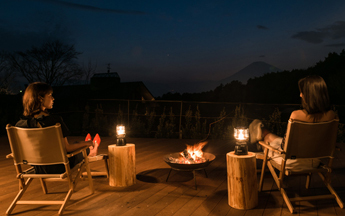 “Glamping Fujino Kirameki” at the foot of Mount Fuji provides glamping facilities where you can enjoy campfires and camping cuisine in the great outdoors, as well as relax in a Jacuzzi while admiring starry skies. Other fun activities awaiting happy campers include horseback riding, fishing, motorboat rides and handicrafts. Of course, you can also relish a spectacular view of Mount Fuji during your stay. 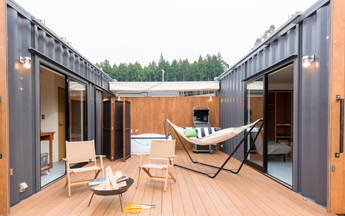 In the near future, the Fujita Kanko Group will open another glamping facility in collaboration with Nordisk in Nagasaki. Wherever you glamp, it’s a great way to experience Japan!